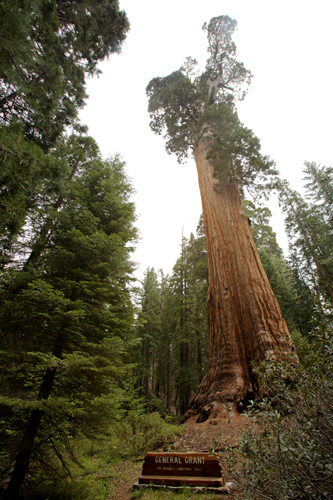 When I visited Sequoia National Park last year, I didn't make it to General Sherman, the largest tree in the world by trunk volume. It was just too much of a hassle because of road construction and winter conditions. 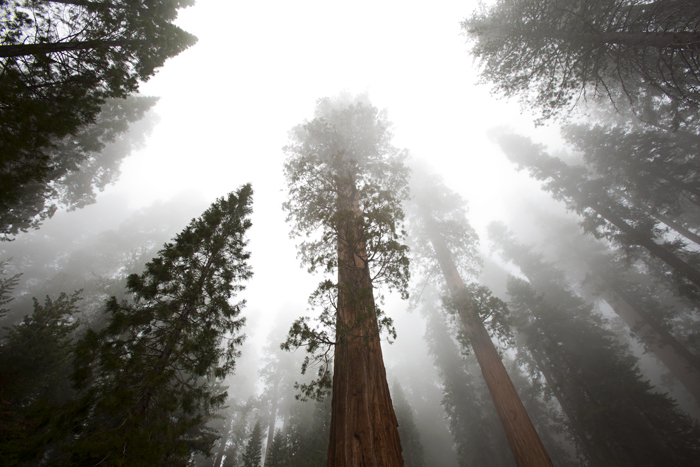 General Sherman is located in the so-called Giant Forest, aptly named because it is home to five of the ten most massive trees on Earth. Here, you can see Laura and me to give you some scale. We actually entered from the north and visited Kings Canyon National Park first (the sister park to Sequoia). Within General Grant Grove is (you guessed it) the General Grant tree. 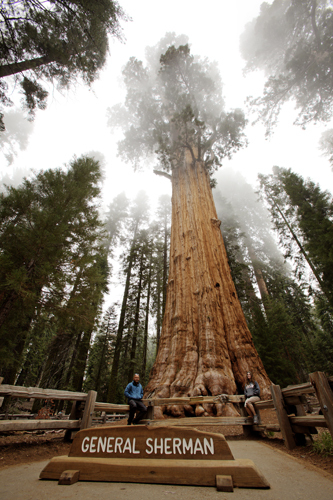 It is merely the second largest tree in the world. I give credit to Laura for spotting the angle for the following photo. Good eye. And finally, I decided to have some warped fun with panoramas. This is where it might have been fun to play with a fisheye.